Fully Fusion was so much fun! Rhythm Room was packed with an appreciative crowd, the performers brought a variety of dances to the floor, and Spirtchaser rocked the house with their music. I really enjoyed the chance to perform with live music and will be looking for more opportunities. Big thanks to Mahin for hosting the event, TC for being such a competent stage manager, Spiritchaser for the chance to dance with them, Chris for filming, and everyone who came out to see the show. 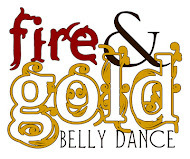 My next performance is at the Sadie show here in Tucson, with Fire & Gold and Skirt Full of Fire. I'll post more about that next week, but in the meantime you can buy tickets from the handy link on the lefthand side of this blog. I am performing at Fully Fusion V!